Spring fever got you down? 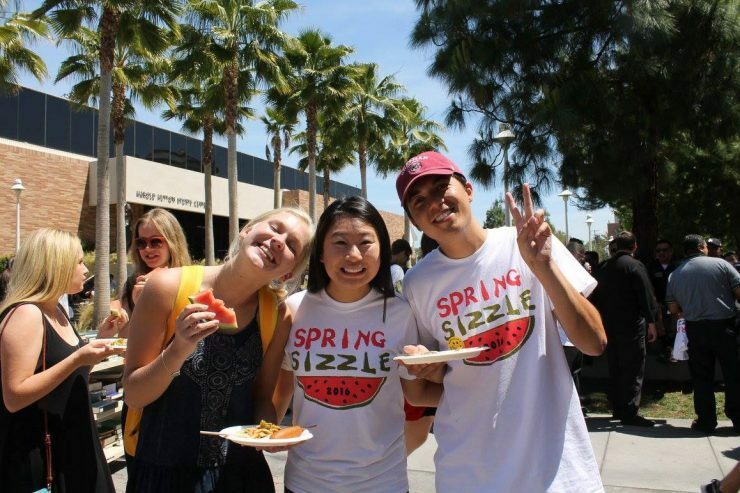 Come cool off with the entire Chapman Family at the 25th Annual Spring Sizzle! Join us this Wednesday, April 17 from 11 a.m.–1 p.m. in the Attallah Piazza for carnival-themed food, games, music and all-around celebration. Hosted by the University Program Board and the Office of the President, this Chapman tradition is not one to miss. Tasty summer treats such as fresh watermelon, corn dogs, pasta salad and popsicles will be served until 1 p.m. There will also be gluten-free and vegan options available. This year’s giveaways include t-shirts and stickers. There will even be a Rock Band video game station on the library stage for all to enjoy. Student Union Services, the Student Government Association, the Wellness Project and First Gen Ambassadors will also have tables at the event.